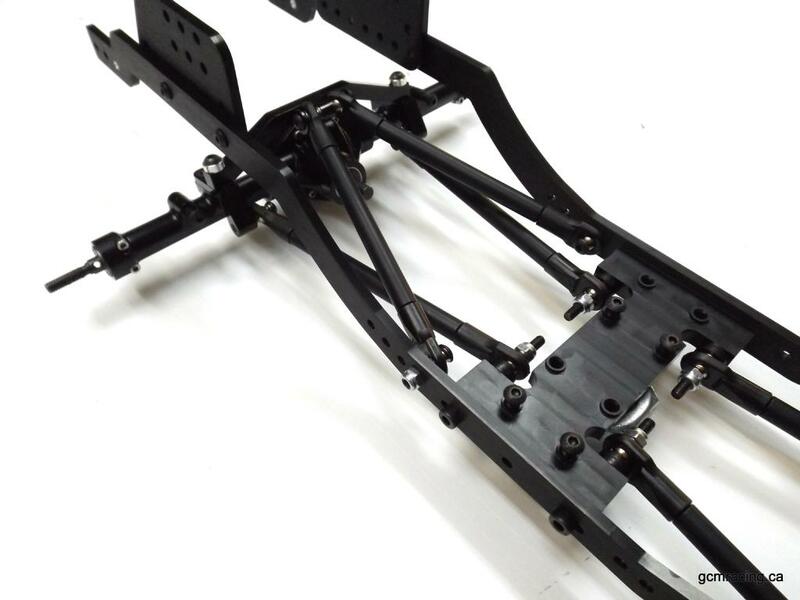 This is the new Delrin center skid plate for Skeleton Chassis from GCM Racing. 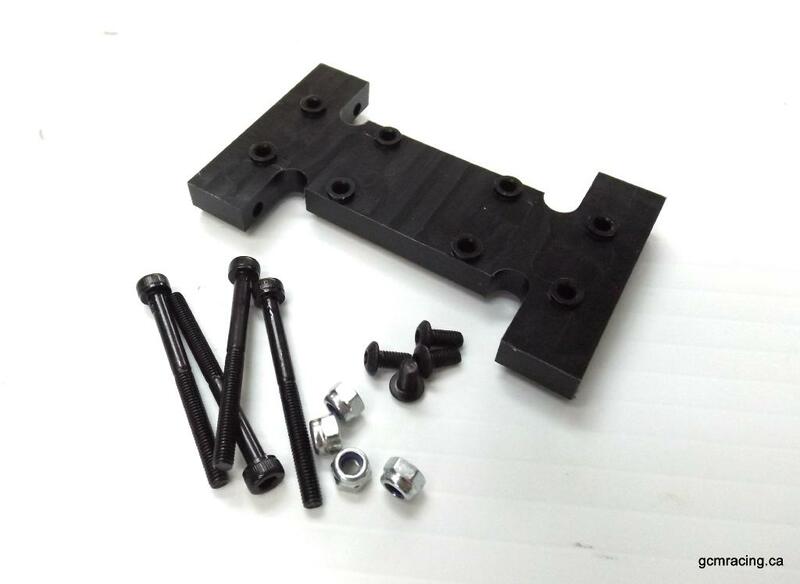 This will mount to the center of the frame and also hold your lower links, and includes hardware to add a GCM 1:1 Transfer Case directly to the skid. The skid is 2.93 inch wide. This is part of the J2 Combo Kit also available here at GCM.